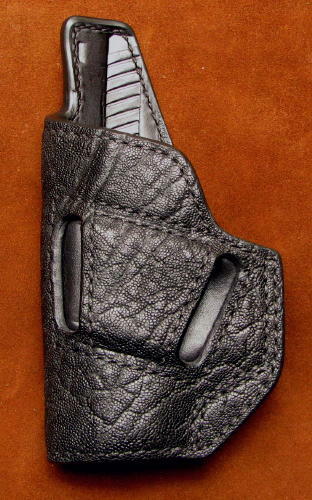 BPB - A holster designed to ride under the belt but outside the waistband. Since the belt rides over the weapon and holster, it aids in controlling how tightly the weapon is held against the body. As a result, the weapon conceals nearly as well as with an inside the waistband holster and is more comfortable for most people. Positioning on the waist is dependent on pant belt loop placement. Mainly Suitable for pistols. Prices start at $175.00. 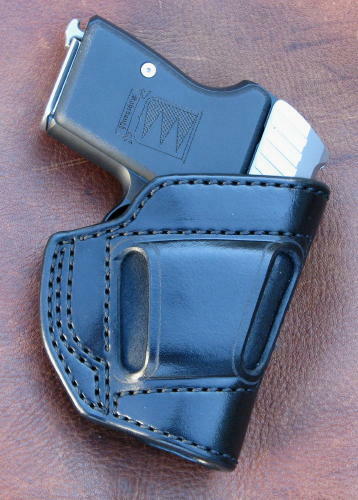 BPB Snap-on - This holster is designed primarily for small autos. It rides under the belt with the rear wing inserted into a pants belt loop. 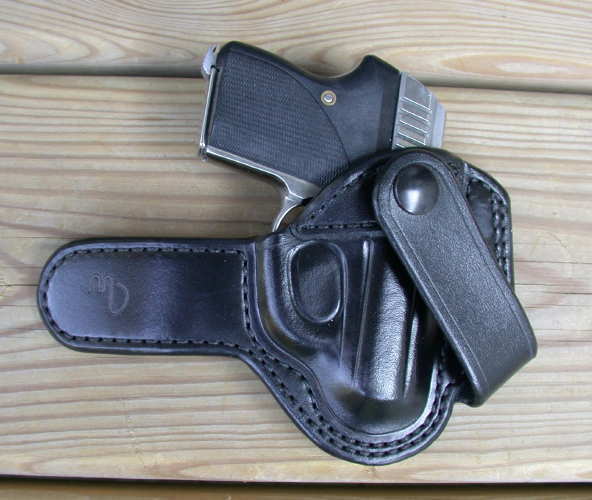 The loop of the holster is then snapped around the belt. 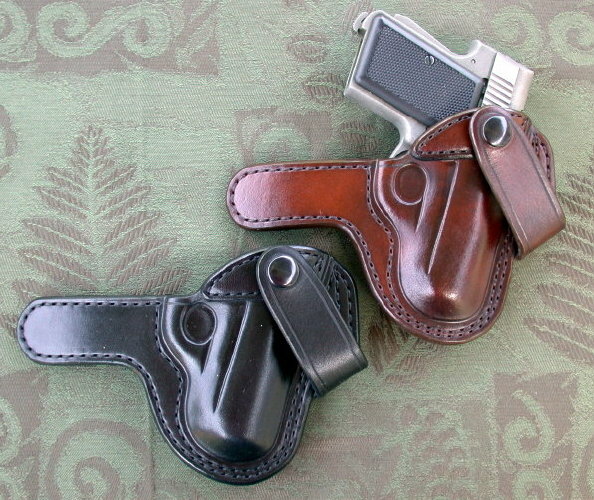 To remove the holster, the loop is unsnapped and the rear wing of the holster is then rotated out of the pants belt loop. Prices start at $175.00.